Im Oktober 2018 fand das 1. NEEF in Rostock statt. Nach wirklich netten Gesprächen und fairen Diskussionen waren wir uns einig – NEEF wird fortgesetzt und wird sich fachlich und inhaltlich weiter entwickeln und sich auch anderen Therapieverfahren in der Diskussion öffnen. Zum Abschluss des Forums wurde in offener Abstimmung für den folgenden Tagungsort abgestimmt – es wurde mit über 80% der Stimmen Riga ausgewählt. Wir wollen zum 2. 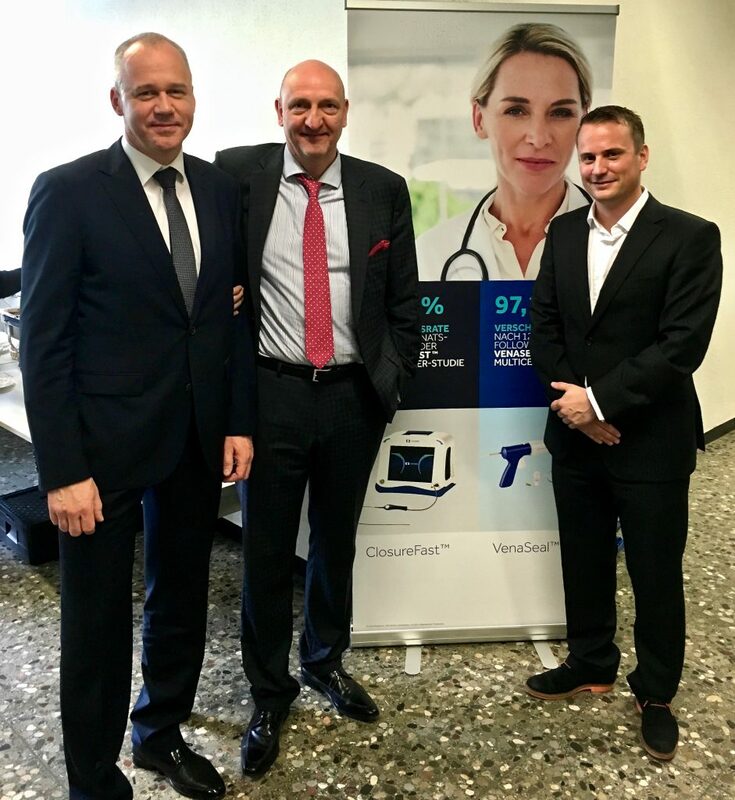 NEEF auch die interventionelle Thrombosetherapie und Ulcustherapie einfügen. Und es sind work – shops geplant für verschiedene endovenöse Therapieverfahren. Dazu konnten wir bereits sehr erfahrene Anwender gewinnen und fragen weiter bei Spezialisten europaweit an. Unter Anderem haben Thomas Pröbstle und Mark Whiteley zugesagt. Wir freuen uns darauf, alle Interessierten, alle Fachleute und selbstverständlich auch die Medizintechnik vom 16. bis 18. August in Riga begrüssen zu dürfen. Schon jetzt gilt ein ganz grosses Dankeschön an Zane Revalde und Dr. Ints Üdris und dem gesamten Team in Riga, die sich auch durch einige Widrigkeiten und mit Unterstützung Anderer nicht von der tollen Idee des 2nd. NEEF in Riga abbringen ließen. Ein grosses Danke auch an Carl Henrik Schelp und die vielen Kollegen, die als Referenten zugesagt haben. In Northern Europe many venous centers have created or used phlebological new techniques. A majority of conferences focusing on Phlebology topics are frequently located in the South, West and central Europe. 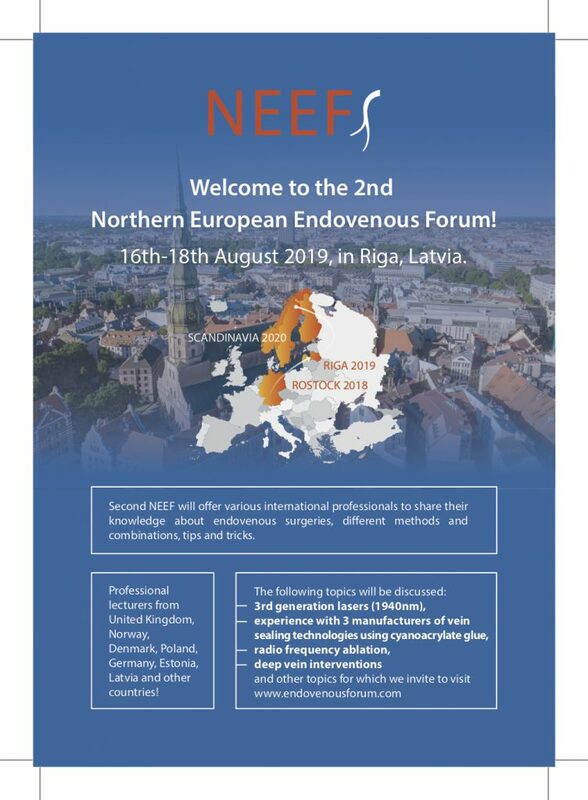 In Northern Europe „Endovenous“ practice takes also place in Malmoe, Bergen, Copenhagen, Riga, Luebeck and Rostock leading us to create an international Northern European Endovenous Forum (NEEF). As we are located nearby Eastern Europe countries as Russia, Belarus, Ukraine and others, we will provide the Forum translation in two languages – Russian and English. And we are very happy that Prof. Thomas Pröbstle and Prof. Mark Whiteley promised their participation as main speakers in forum. An attractive Forum asks for an attractive city! 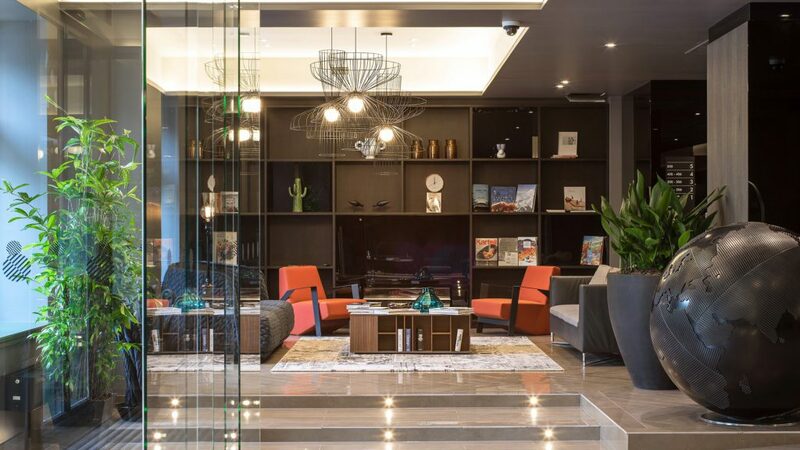 This year’s NEEF special event will take place in charming Riga – capital of Latvia. 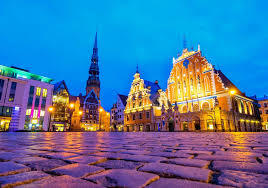 Once called the “Paris of the North”, Riga is a vibrant and beautiful city. The charming little streets of Old Riga will leave your heart full of impressions. The city is an architect dream from medieval to gothic to art nouveau. Our vision this year is to organize venous forum – so it could be interesting for both – phlebologists and vascular surgeons. That is why program sessions will include various treatments of varicose veins (tips and tricks), deep vein thrombosis treatment, ulcer treatment, difficult cases, advanced treatment, case reports and many more. To interact the audience, we would like to suggest the professionals to send us different interesting study case reports to create a public discussion during the Forum. 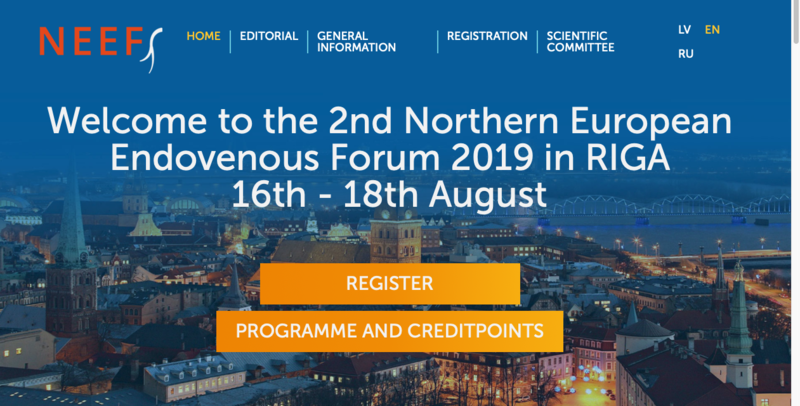 *Guidelines for case reports – PowerPoint presentations, time limit 5 minutes, send to info@endovenousforum.com till 16th of July, 2019. 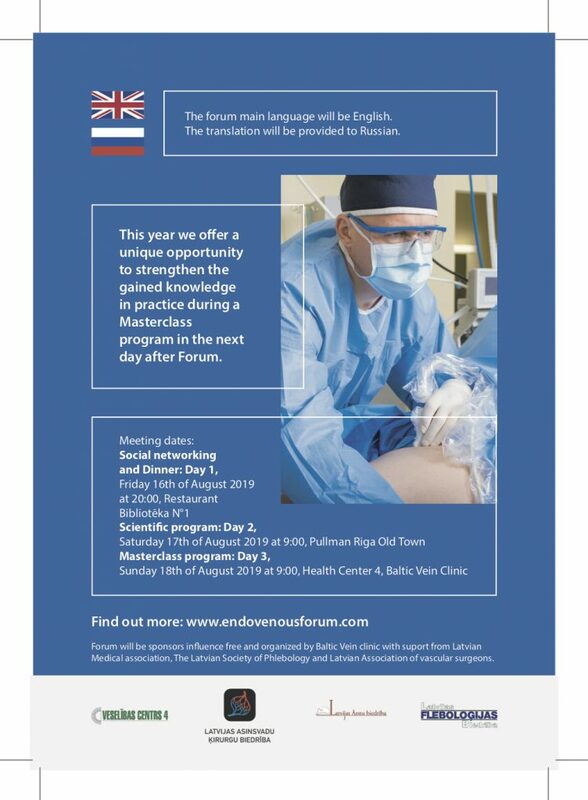 This year we would like to offer a unique opportunity to strengthen the gained knowledge in practice during a Masterclass program in the next day after Forum. The Masterclass includes: 1. Vein operation (different methods and combinations); 2. Ulcer treatment; 3. Transcutaneous laser, RF, Sealing veins, IPL treatment for vascular formations. We are looking forward to get together with You!